About Trey Lewellen “I’ve learned that in order to be happy in life, you need to figure out what your talents and strengths are… then run with them! Don’t settle for anything less than what your abilities can get you.” – Trey Lewellen My entrepreneurial journey took off in 2012 after working several years at the job I thought I wanted. I quickly shifted from working for someone else to becoming an entrepreneur when I was inspired by a successful business man to create my own wealth. 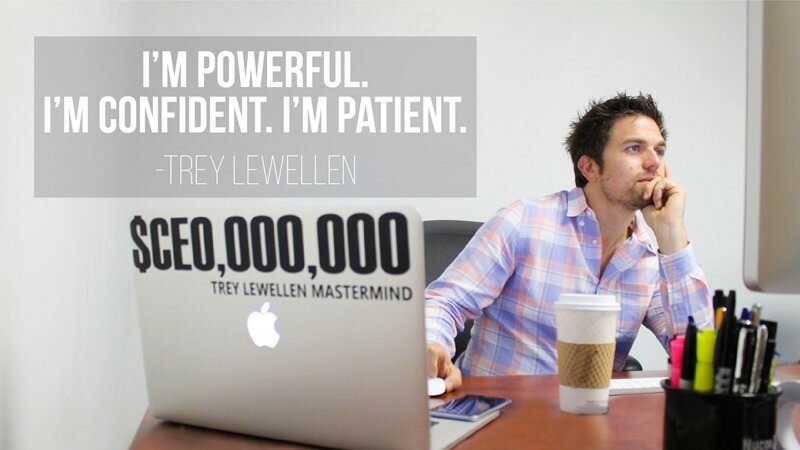 The success in my sales career made me passionate about teaching others how to achieve their definition of success, and my own coaching business, the Trey Lewellen Mastermind, was born. I began to share with others the lessons, tips, and tricks I learned from my own experience and research to help them build their own long-term, sustainable online businesses.